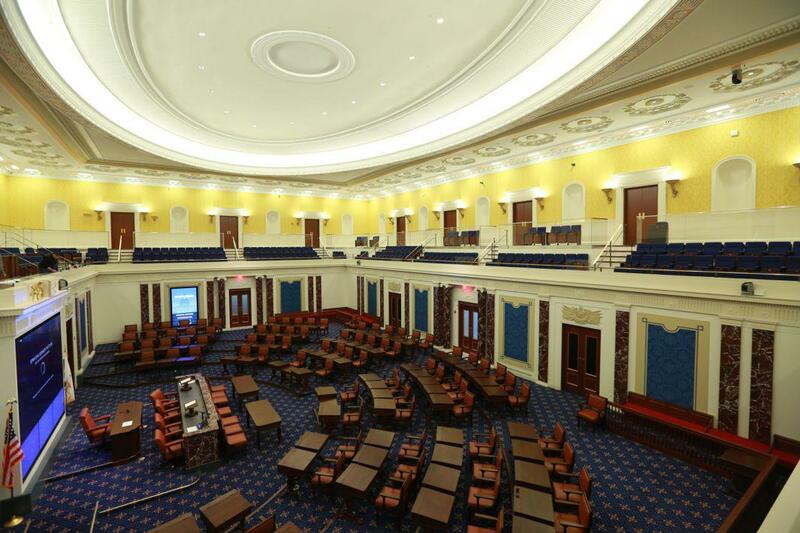 Edward M. Kennedy Institute for the U.S. Senate: A high-tech digital museum with a full-scale replica of the Senate chamber (PHOTOS). 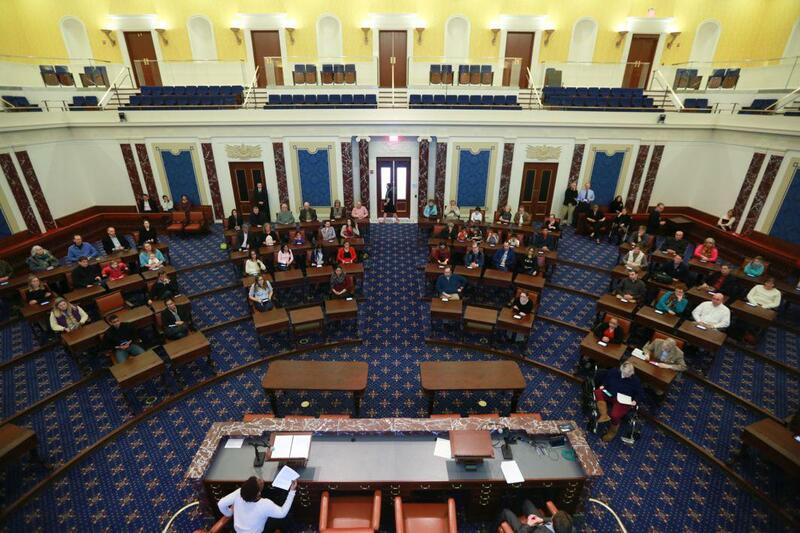 An overview of the full-scale reproduction of the Senate chamber at the newly opened Edward M. Kennedy Institute for the U.S. Senate. Ted Kennedy famously loved his job. He spent nearly half a century in the Senate before his death in 2009. Today the Edward M. Kennedy Institute for the U.S. Senate opens to the public after a dedication on Monday attended by President Obama. Its mission is to excite and illuminate students and the general public about the history and inner workings of the U.S. Senate. The new $78.4 million, 68,000-square-foot building designed by Rafael Viñoly Architects is located on the campus of University of Massachusetts–Boston, built to complement the adjacent I.M. Pei–designed John F. Kennedy Presidential Library and Museum. Inside, its centerpiece is a full-scale reconstruction of the two-story Senate chamber, built with the help of a museum exhibit production firm. 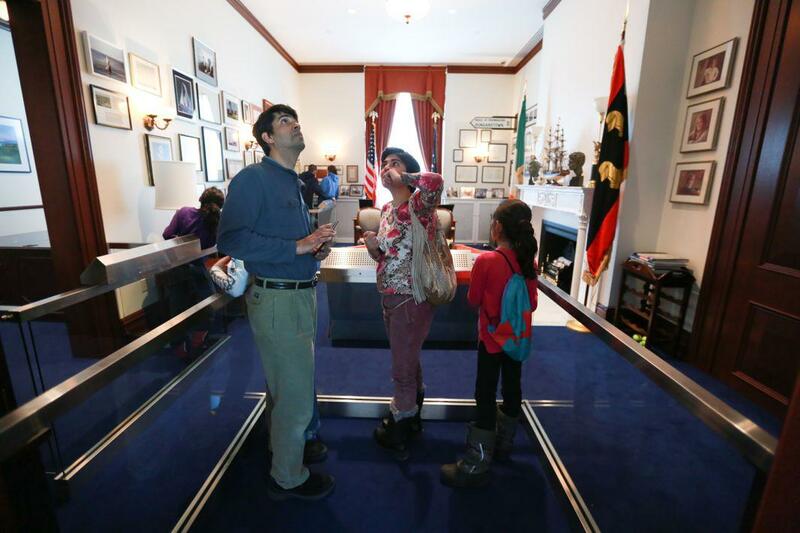 Visitors can sit at custom-built replicas of the 100 individual 19th-century mahogany senatorial desks and play senator. 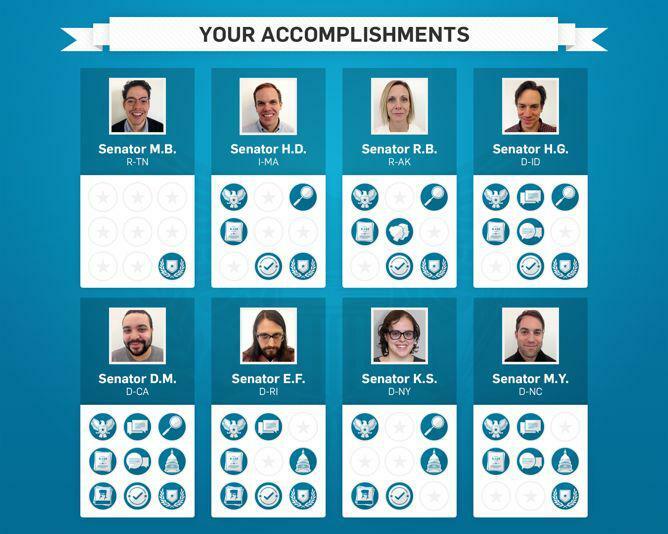 Using specially created software accessed on museum tablets, they can create would-be senatorial profiles, debate, cast votes, learn about past and current legislators and issues, and simulate the process of turning bills into laws. Elsewhere is a replica of Kennedy’s Senate office and space for 53-foot-wide interactive exhibitions projected onto the building’s interior walls. 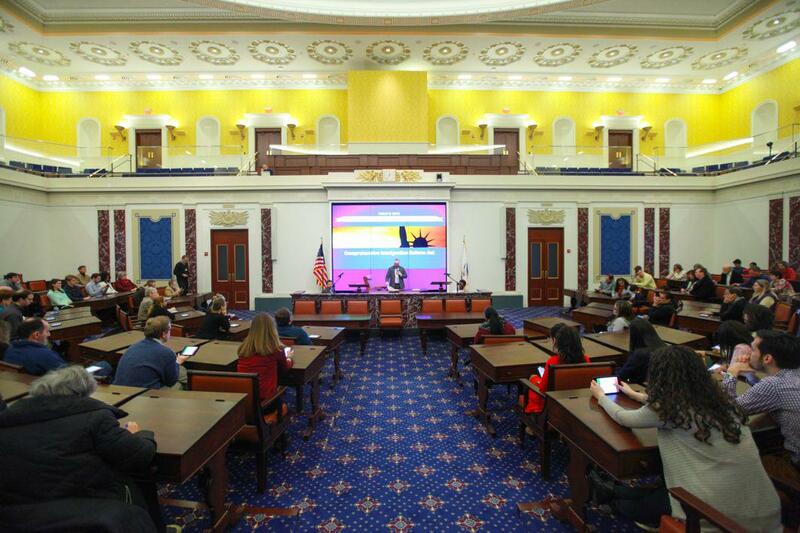 Another view of the interactive Senate chamber recreation at the Edward M. Kennedy Institute for the U.S. Senate. The concept and design arose from a collaboration with Kennedy; his wife, Vicki Reggie Kennedy; and ESI Design’s Ed Schlossberg, who developed the visitor experience and exhibit design, working with a team of multidisciplinary firms to produce the final result. So how do you build an interactive museum about a potentially dry subject like the workings of the U.S. government that’s dynamic and interesting for young people? During the dedication, Kennedy’s wife said that the Senate replica was particularly important to her late husband. “He believed in the majesty of the place,” she said, and its power to inspire awe. Visitors to the institute use tablets to learn about and debate historical and current issues while seated at replicas of the Senate’s 19th-century mahogany desks. Schlossberg said that his team met with the Capitol’s architecture office and the Senate historian to ensure that they were happy with the recreation of the Senate chamber. They asked that the designers not replicate the Senate crest and various decorative parts of the building so that it would “feel powerful and impressive” without being a carbon copy of the real thing, Schlossberg said. A replica of Ted Kennedy’s Senate office. 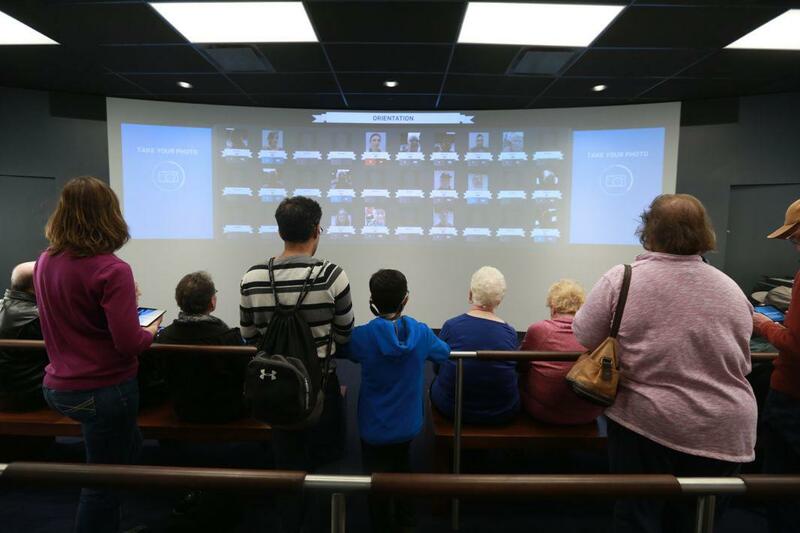 ESI Design worked with New York City–based tech and design company Control Group, which built the Senate Immersion Module interactive software that allows up to 100 people to participate in historic and contemporary simulations of U.S. Senate proceedings. Large-scale digital exhibits are projected onto the building’s walls. Anderson said that students and teachers played a crucial role in user testing as they developed the curriculum and exhibit design. The templates for the Senate Immersion Module have been built so that they can be used in classrooms, allowing universities and high schools to create content that can be played at the museum. Anderson said his company worked with Brooklyn-based game design company Gigantic Mechanic to create the general game mechanics of the Senate Immersion Module and the interactive activities throughout the museum. “They ran playtests with hundreds of kids and worked with the Institute of Play to help find the right balance between accuracy and fun, to meet both curriculum goals but also continue to engage kids in the process. What we found was that the social model of the Senate was far more engaging to students than policy or political process. So this became the focus and challenge of our design and development efforts—to design software for social interaction,” Anderson said. Visitors are lent tablets that are used throughout the experience. Interactive software was developed by NYC-based tech and design agency Control Group. It seems as if the institute has developed a Senate experience that is more technologically advanced than the operations of the actual U.S. Senate. Could its software and resources be used as a primer for new senators?